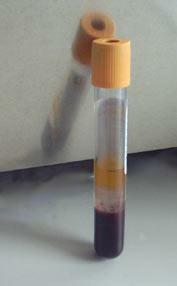 Serum, EDTA and Heparin tubes sent to your local State Vet Lab or directly to OVI. The Trust will assist by contributing R 100.00 per sample provided it ties up with samples received by OVI. Post mortem results in writing as well as spleen and lung on ice and in formalin and couriered to OVI. The Trust will pay R 350.00 per sample as well as the courier fees. All cases must be registered on line and a copy of the downloaded reporting form sent with the samples. These can be obtained from www.africanhorsesickness.co.za If you do not have this facility contact the helpline: 082 9654 082. No extra will be paid for traveling. This is a notifiable disease, however the Trust will report all cases for you to the relevant authorities. It is up to the Veterinarian concerned to submit an invoice to the Trust. The Trust will determine to what length the testing procedure should follow.